Please note that the following article is a paid review. You can be sure that I'm only accepting reviews of products or services that I think are interesting enough to be mentioned on my website and that I would consider using myself. The Ultra Hal Assistant is a personal assistant that increases your productivity. It is possible to chat or speak with the artificial intelligence to let it do a number of things for you. This includes starting programs, reading text, reminding you of appointments, look up local news and weather, define words, dictate text and many more. OperaTor is a combination of Opera, the anonymization service Tor and Privoxy similar to Foxtor which offers the same functionality for Firefox. I don't want to bore you with a lengthy technical description of how Tor is providing anonymity, just that much: Tor uses a layered approach sending your request through a series of servers that only know the server before and after them. This means that the destination server does not know that you requested the package, it only knows the IP of the server before that made the request. Like Meebo Imo.im offers any users the possibility to connect to various instant messengers using a simple web interface. Imo.im lets you connect to the following four popular instant messengers: AIM, Yahoo, MSN and Google Talk. The free service that Imo.im offers is free and easy to use. Just enter your username and password and select the service that you want to log in to. It is possible to sign on into more than one account at a time. By using the Link Accounts feature you can link those accounts which would have the results that once you log into one account all other accounts will be available as well without logging into them separately. Many Internet users do not realize how dangerous Phishing can be. They receive a email which claims to be from their bank and they blindly trust everything that is written in that mail and will click on any links that are displayed in that mail to "update" their security software or passwords. They are usually redirected to sites that password fish their passwords and use them to make online transactions. I'm always astonished by the amount of users that want to do online banking for instance on the Internet but lack basic security knowledge. Gmer is primary a free rootkit scanner which offers additional functionality such as offering an Intrusion Prevention System and a Firewall. The interface looks very user friendly but the settings, options and the results require at last basic knowledge of rootkits and other means of harming the system to apply and interpretate them in the correct way. 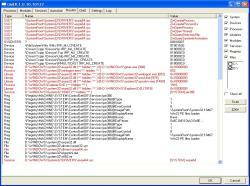 Gmer does notify the user if it spots something suspicious and displays those results in red in the main window. 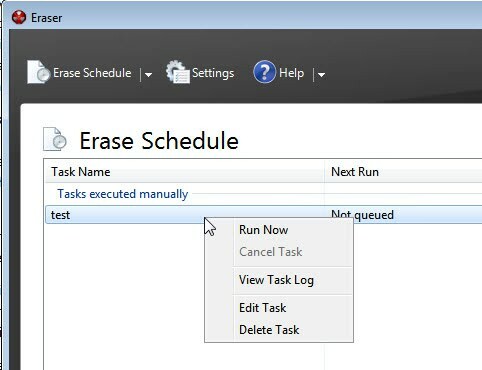 The two screenshots below show two typical scan results after performing a scan of your computer with Gmer. 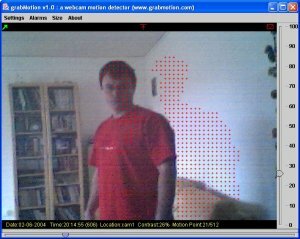 If you are looking for a cheap and reliable way to monitor a room you could take a look at the freeware Grabmotion which uses webcams to monitor rooms. Grabmotion constantly monitors the room and starts default processes once a motion was detected. Processes that can be defined include sending an email with an attached image showing the room during the time the motion was detected, sending an sms through a gateway, saving an image to the hard drive or playing a sound alarm. Files do not last forever. Corruption can be caused by hard drive failures or unreadable compact disks for instance. The files might be partially readable but this does not help much if it is corrupted. There are some ways of preparing yourself against data loss. One obvious way is of course to make regular backups of your important files. But it could of course happen that backups get corrupted as well which most of the time happens in the worst moments possible. I'm usually not using iTunes at all because I think the software slow and overloaded like the Windows Media Player. If I want to play music I use Winamp and to transfer songs to and from my iPod I use Floola. I still have iTunes installed but as I said it is only used very seldom. To be honest, I did not even knew that there were visualizations for iTunes available. You can think of them like the ones on Winamp for instance. 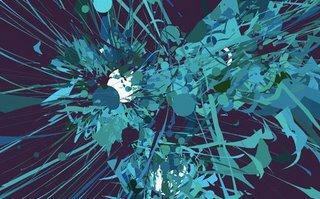 I found this amazing visualization for iTunes and decided to write an article about it. I think it would be best to walk you through the installation and activation although it is nothing complicated. Download and install Magnetosphere and start iTunes afterwards. If you like to think about the unexplainable, the mysterious, the paranormal you are one of the users who might find Disclose.tv very interesting. Like Mulder and Scully from X-Files you can delve into this site and take a look at the videos that they offer. On the technical site Disclose.tv is a pretty good Youtube clone serving only their niche. The site does offer videos and pictures as well as a forum and other ways to communicate with the community. The biggest video category so far is the Aliens & Ufology category with 234 videos followed by Paranormal with 80 videos and Spirituality with 31. Flash cookies are a new way of tracing your movement and storing a lot more information about you than with normal cookies. One major disadvantage of flash cookies is that you can't locate them in your browser. They are not shown in the list of cookies that you can see when you take a look at the cookies that are currently saved in your web browser. Normal HTTP cookies can't save more than 4 Kilobyte of data while Flash cookies can save up to 100 Kilobyte. If you want to try out how they work you could do the following. I was never that of a theme fanatic and used the windows classic setting on all of my previous computers because I thought it would speed up my system. I feel a little bit old fashioned to defend this stance against my friends who love to use themes for their windows operating system. It is not anymore a question of speeding up the system, with dual core cpus and gigabytes of ram available for most computers that are sold these days. I'm presenting a new game as usual on Fridays and this time it is Bontago. Bontago is a real time strategy game that can be played against computers or human opponents. 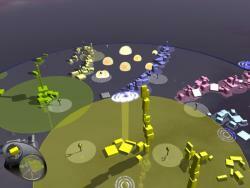 Players start evenly on the area and can place blocks to expand their reach from their current position. The task of the game is to encompass all flags that are placed in the level. The initial area of control for a player can be expanded by adding new blocks to the territory under control. The height of the blocks that you can place on top of each others determines how far the influence is expanded. Par2 Files are common on the Usenet today.They are not that common on the Internet in general and I can't think of a location where I encountered them except for the Usenet. Par2 Files can be used to repair broken archives. That is the basic explanation of course, the technical is a little bit more complicated. Lets use a example to make it clearer. Let us assume that you have downloaded a number of rar files (.rar, r01, r02 and so on) that can be unpacked to create the file test.avi which has a size of 700 Megabytes. The best software to control every program that is loaded automatically when Windows starts is Autoruns by Sysinternals. While this is an excellent software it requires some knowledge to use it the way it was meant to be used. 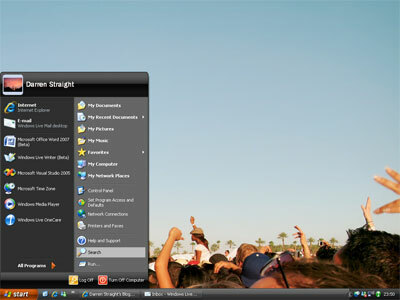 A similar free software that is way better suited for novice computer users is the program Startup Control Panel by Mike Lin. It looks like a crippled version of Autoruns and concentrates on the most used locations where programs are added to be started with Windows. We all know that it is important to securely delete all files on a hard drive before giving it to someone else. This holds especially true if you plan on selling the hard drive on Internet sites such as eBay. I know that some users buy used hard drives on eBay purely for the thrill of trying to find data that was deleted on that drive. This could get you in a world of trouble if you think of the private information that you save on your computer. How are you normally transferring new videos to your Apple iPod Video player ? You create or download them, transcode them into a format that your iPod video understands, add them to iTunes and sync iTunes with your iPod Video again. What if there was a way to automate every single step of this procedure after creating or downloading new videos ? Yeah, I thought that you would like that. 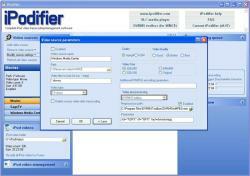 To automatically add new videos to your iPod Video you need the free iPod software Ipodifier. Just download iPodifier which has a size of about 8 megabytes and install it on your system.